Electricity and gas costs don’t have to pile up – perhaps it’s time to compare different providers? To get started, compare different utilities brands to see how they stack up. Amperage (amps): A measure of the amount of electricity used. Distributor: Electricity and natural gas distributors own and maintain the distribution networks, electricity power lines, power poles and the natural gas pipelines that distribute the electricity and gas to households and businesses. Electricity grid: An interconnected network that carries and delivers electricity from power suppliers to consumers. 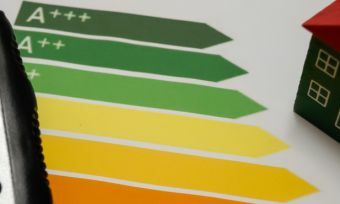 Energy rating label: This is a mandatory comparative energy label that provides consumers information about the product’s energy performance. When you are comparing appliances, the higher number of stars means the product is more efficient and will have better annual energy consumption. Energy retailer: The energy retailers buy the electricity from the distributors and sell it to homeowners and businesses. They are responsible for meter reading and billing services. Exit fee: If you end your electricity or gas contract before it is due to expire, you may have to pay an exit fee which can also be ‘cancellation’ or an ‘early termination’ fee. These will vary between energy retailers. 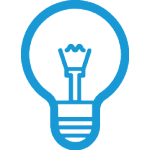 Fixed charge: The fixed charge (otherwise known as service to property or daily supply charge) is identified separately on your bill and is not based on how much energy you use. Fixed charges can vary between distributors. Kilowatt (kW): Used to measure electricity. One KW = one thousand watts. Kilowatt hour (kWhour): This is a standard unit of electrical energy that represents the consumption of one kilowatt in one hour. Meter reading: The amount of electricity and gas you use in your household or business is read by meter readers. Someone employed by your energy retailer will take quarterly readings and use this information for billing purposes. 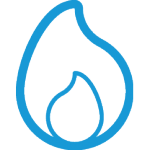 Natural Gas: Natural gas is (you guessed it), a naturally occurring gas. It is used in the home for cooking and heating. As one of the cleanest of all fossil fuels, it works more efficiently and produces less waste. Non-renewable energy: Coal, natural gas and crude oil are example of non-renewable energy sources. Once they are used, they cannot be replaced. Off-peak: Off-peak electricity refers to a lower, discounted price during specific times. Off-peak times are generally when businesses and homeowners are using less electricity. Peak: Refers to a set time during the day when electricity demands are at their highest. Renewable energy: Energy that comes from sources that can be renewed or won’t run out including sunlight (solar), wind, tides and geothermal heat (heat from the earth). Standby power: Products with standby power (such as a TV) will have an Off mode, Standby Mode and an Active Mode (when it’s on). Standby mode refers to when an appliance is connected to a power source and has a continuous function such as displaying information or status displays including clocks. A great example of this is a microwave. Even when you aren’t using it, you can see a time displayed. You might notice a red light on your TV even when you’ve turned it off on the remote. This is on standby power. To turn appliances off standby power, you need to switch the appliance off at the wall. Supply charge: This is a fixed charge and the cost is associated with supplying electricity to a home. Switching: Refers to when a customer switches to a new offer for the supply of electricity and/or gas, usually with a different energy retailer. Tariff: This refers to the pricing structure a retailer will charge a customer for electricity consumption. Tariffs will usually differ between energy retailers. Traditional meters: Meters that are not digital. They use a mechanical spinning metal disk to measure the accumulated amount of electricity used. Turbine: A machine designed to revolve by a fast-moving flow of water, steam, gas, air or another fluid to produce mechanical energy. Variable charge: This will be based on the amount of energy you use. Voltage (volts): A unit used to measure the electric field strength or force that moves electric current through a circuit. Watt (W): The amps multiplied by the volts give you the wattage (watts). This is a measure of the work that the electricity does per second. Energy plays an important role in every New Zealand household and business. We rely on various types of energy for heating, cooling, cooking, transport and machinery operation. Honestly, where would we be without it? There are a number of different energy sources you can use in your home. Introduced in the nineteenth century, electricity has become a well-developed utility we rely on in our everyday lives to power household appliances, machinery, lights and technology. It’s a form of energy that can be generated by natural resources such as coal, gas, hydropower, wind and solar. According to the 2014 ministry report of Business Innovation and Employment New Zealand, nearly 80% of electricity is produced by renewable energy sources, most of which comes from hydropower, while only 20% of electricity is generated through fossil fuels. Wind and hydro-electricity turbines use the force of wind or water to spin turbine blades. These blades are connected to a shaft which leads into a generator; as the turbine spins, the generator will be charged. In power stations, there are large turbines which rely on the heat energy produced from burning coal (others are wind energy or moving water). As the turbines spin, this causes large magnets to turn within wire coils. As the magnets move within the coil, this causes charged particles (electrons) to move within the coil of wire creating what we know as electricity. A solar cell (which makes up a solar panel), utilises a photovoltaic effect where an electrical current is generated when the solar cells are exposed to solar radiation (sunlight). When the solar panel absorbs the sunlight, this energy is converted into direct current (DC) electricity. This energy flows into an inverter (this is installed near your electricity meter). The inverter then converts this DC electricity into Alternate Current (AC) electricity. This is the type of electricity you can use in your home. When large generators produce the electricity, your electricity is transported via a transmission line which carries the electricity long distances to substations in cities and towns. Once the electricity has reached this point, distribution lines carry small amounts of the electricity from these substations to your home. Gas was introduced well before electricity in the eighteenth century and is one of the world’s most important fuel sources. While electricity can be used to run any household appliance, gas is used in the home for heating, cooking and providing hot water. Along with coal, natural gas is non-renewable source formed from the decaying remains of pre-historic plant and animal life. It’s described as a colourless and odourless mixture of gases, mostly made up of methane and small amounts of ethane, propane and butane. New Zealand is naturally a gas-rich country. 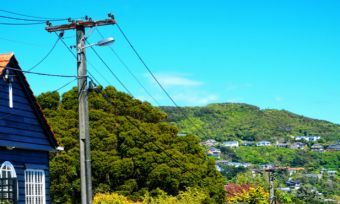 However, large reserves such as Maui have begun to run dry, raising concern that New Zealand could soon run out of gas. For now at least, recent gas exploration has led to the discovery of more large gas-bearing basins such as Kapuni and Pohokura. Most homes have access to electricity however the availability of gas can be dependent on whether a gas pipeline runs down your street or is connected into your building. If you do use gas in your home, you probably find the level of control you have over your cooking is hard to beat. Gas stoves use an actual flame which can heat both the bottom and the sides of the pot. This makes cooking in the home a lot more efficient. 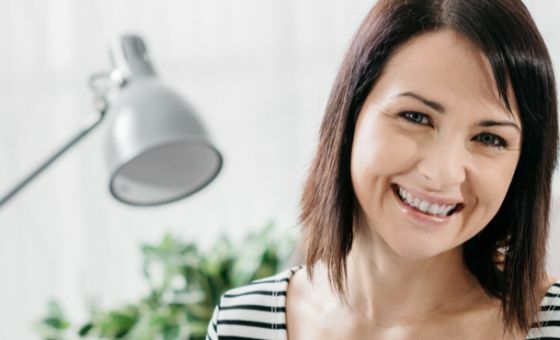 Whether you’re looking for an electricity or gas supplier, comparing energy providers can be a time-consuming process. This is why we have sourced the information you need to help you make your decision. Start comparing electricity and gas suppliers with our customer satisfaction ratings. Cutting your power bills can be easier than you think. Here is Canstar Blue’s top tips for energy-efficiency at home. New Zealand has one of the most competitive energy markets in the world. Canstar Blue looks at what new retailers are offering. 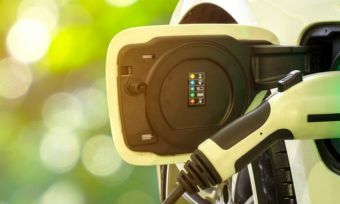 Canstar Blue brings you a guide to electric vehicle charging stations across New Zealand to help you get where you’re going. 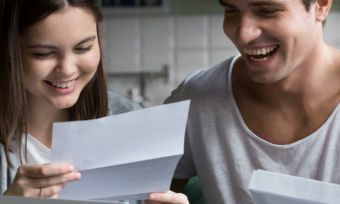 There’s no denying we’re all wanting cheaper electricity bills at the end of the month, well fixed-term electricity contracts could be the way to do it!